Estimated Class 3, fails Class 2 on hardstanding and buildings and trees. UHI, local, industrial estate including new buildings and ongoing building. M6 185 metres, 1km large marshalling yard and container transshipment area, centre Carlisle 5km, otherwise none. 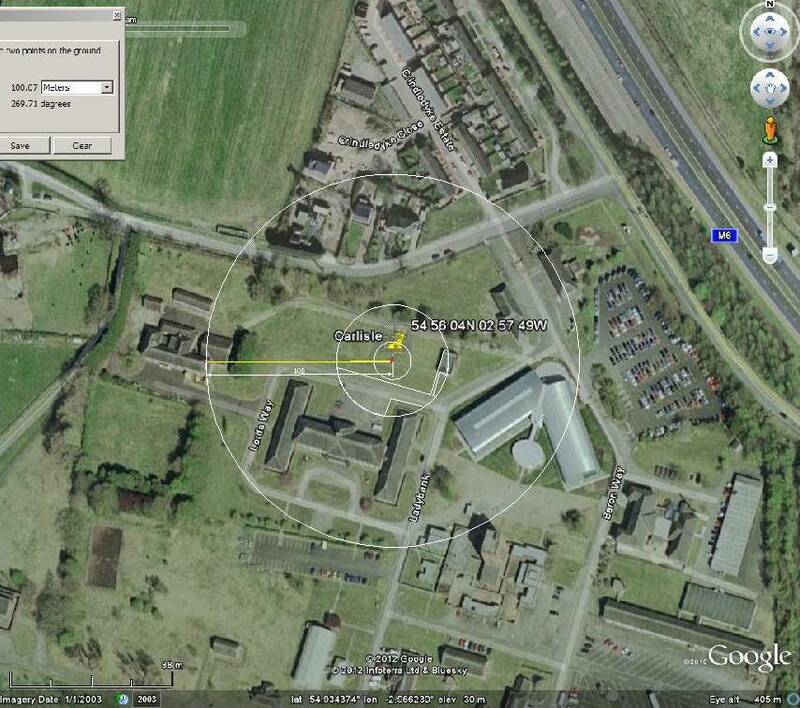 This site used to be RAF Carlisle, the home of No. 14 Maintenance Unit now closed but turned into an industrial estate. A nearby shiny metal clad building has been erected in the last 10 years.